Too Many Cooks: When Collaboration is a Recipe For Disaster! You could feel the creative energy crackling around the room. Talented professionals brimming over with classy ideas, turning their thoughts into tautly-written TV masterpieces that would have the binge-watching masses transfixed and craving the next instalment. The Writers’ Room. Yes, that was the answer. The way forward. The dream job. A “meeting of minds.” The ultimate in teamwork. Collaboration on the grandest of scales. 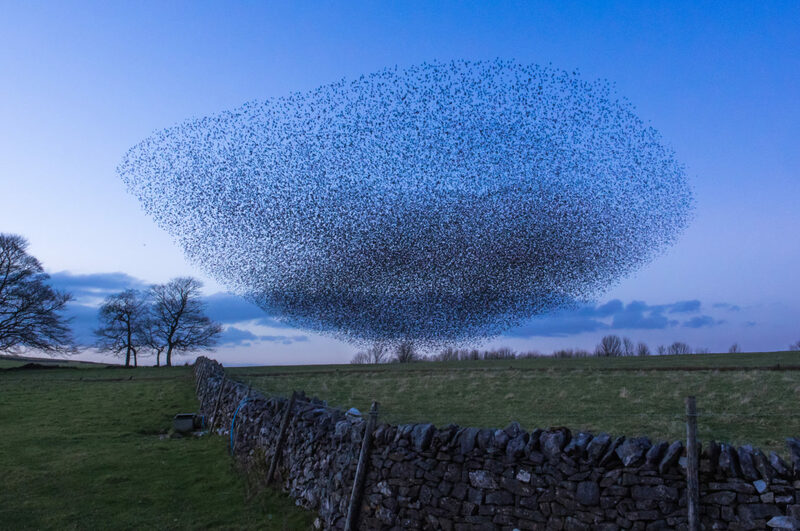 Like the elegant murmuration of starlings swooping through the sky as one. Meanwhile, back in my reality, I’m sweating in solitude over my latest editing assignment. I’m just about ready to hand the story over to my boss, who will then retreat into his office to “revise it.” The next time I see it, the article will be printed in the newspaper. It will have been changed. Probably quite substantially. Possibly beyond recognition. I won’t be told why, and I won’t ask. If what I’ve done has met with any level of approval, I will be instructed to edit another piece for the paper. If not, I will be given the task (punishment) of preparing the daily horoscopes or the crossword puzzles for the next two weeks. Welcome to the paranoia-infused grind of being a lowly sub-editor on a U.K. national newspaper in the 1990s. And that’s pretty much how things were for a couple of years. Dark moments. Chinks of light. Then, one day, things changed. For the worse! The word “team” hit home. It’s all going to be OK, I thought. My lonely labors are over! The bosses have seen sense. Collaborative working. Spreading the load. Maximizing the creativity. Boosting my ego without burning out. I’d arrived! And that’s because “The Lifestyle Magazine Project” came with a host of issues that can be characteristic of collaborative projects: the excessive emails; the meetings too numerous to mention; the politics; the “Is really this my job or someone else’s?”; and, of course, the cries of “WHO THE HELL IS IN CHARGE OF THIS PROJECT?” And, for the person who likes to say “Yes,” (or the “extra-miler” as they are sometimes called) collaborative overload is particular painful, as this Mind Tools article illustrates. So, in my example, instead of proving that “two heads are better than one,” we were four “headless chickens.” This is clearly an example of a collaboration that went wrong, almost as wrong as David Bowie and Mick Jagger’s ‘Dancing in the Street.’ But it doesn’t need to be this way. Just as Bowie turned things round (sort of) with Queen and ‘Under Pressure,’ collaboration can work. One way of trying to ensure effective collaboration is by rewarding it. One of the downsides of teamwork is that sometimes, the leaders or “stars” take all the credit, leaving the “helpers” firmly on the sidelines. Not good. Assistance needs recognition. It is also important that managers are able to identify projects that lend themselves to collaboration, and are equally able to pinpoint individuals who work well in a team setting and those who don’t! The good news is that Mind Tools has plenty of resources on team and project management. And, as luck would have it, we will shortly be publishing an article on the pros and cons of collaborative working. We’ll keep you posted! Meanwhile, can you think of a time when you became a victim of collaboration overload, or when a collaborative project went particularly well? Let us know in the comments section, below. In a team you can identify at least three categories of members-contributors, detached and detractors. Problem comes mainly from the last group who find role in amusing the team or creating and discussing their own project or topic. It all depends on the leader and the contributors. Thanks Ken for sharing your thoughts. When one is responsible for leading the team, they may face challenges to manage those ‘detractors’ and for engaging those who are ‘detached’ so that everyone comes together focusing on and working towards the same end result.